Undergraduate students Estefanía Quiñones (UPRM, Physics Department), Edward Rivera (UPRM, Mechanical Engineering Department) and Luis Pomales (UPRH, Physics & Electronics Department) successfully concluded their CaRA 2013 summer internship during which they worked on projects including rip currents numerical modeling, ROMS ocean currents simulations, and analysis of surface currents using CODAR. Dr. Stefano Leonardi, Dr. Miguel Canals and Prof. Julio Morell undertook the supervision of the student projects. These students have now been recruited by CariCOOS to continue working on specific topics relevant to the observing system mission. 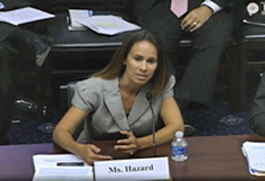 On July 31, Lisa Hazard from Scripps and SCCOOS and Toby Garfield from San Francisco State University and CeNCOOS testified at a hearing “How to Improve Efficiency, Safety and Security of Maritime Transportation: Better Use and Integration of Maritime Domain Awareness. You can watch their testimony here. The Orange County Sanitation District (OCSD) discharges its treated effluent from a 120-inch ocean outfall that terminates in 200 feet of water, approximately 4.5 miles offshore Newport Beach and Huntington Beach. The discharged plume typically stays well below the ocean surface and away from recreational (water contact) use areas. The District has a secondary, 78-inch outfall located in about 60 feet of water, 1 mile off the coast. From this discharge point, it is expected that the discharged effluent will rise to the water surface and into recreational use areas. OCSD’s 2004 discharge permit allowed discharges through the 78-inch outfall only under emergency conditions. Avoidance of its use has been a key objective of plant construction and maintenance projects and OCSD developed detailed contingency plans for each one. In May 2007, the Southern California Coastal Observing System (SCCOOS) provided requested data and product support during planned ocean outfall repairs as part of a monitoring contingency plan. SCCOOS provided local views of modeled surf zone waves and currents, near real-time meteorological observations, and surface currents for use by OCSD and the Orange County Health Care Agency. Under a new permit, slated to be issued in June 2012, OCSD will be allowed to use the 78-inch outfall for non-emergency plant operations. In September 2012, OCSD will divert flow from the 120-inch outfall to the 78-inch outfall as part of a project to inspect, assess, and rehabilitate the Outfall Land Section and Ocean Outfall Booster Pump Station Piping. OCSD has requested a report from SCCOOS and CeNCOOS synthesizing the results of the diversion’s modeling and monitoring activities and a technical review of those activities and results highlighting successes, failures, and lessons learned. "There’s no reason to assume that harmful algae dominate the system, and every reason to monitor it,” said University of California researcher Dave Caron. The coast of Maine supports mutli-million dollar fishing and tourism industries so when making decisions about bringing a 700 foot tanker full of fuel into port we need the best ocean and weather information possible, which is why we depend on IOOS buoy observations and forecasts to ensure safety and efficiency of these critical operations. I had an interesting job last week, getting on a tanker at Monhegan Island that was coming up from Boston. While the seas at the pilot boarding area were only 4' when the ship left Boston, your wave prediction page showed them to be 8-11' with a short period by the time the ship would have been there due to an approaching low pressure system. Sure enough that's what they were, and I cancelled the job for that day well in advance of the vessel's arrival. The seas eventually reached nearly 20' later that night. We set up boarding for 1500 the next day, when the prediction showed a more modest 8' sea with a much longer period between waves. It was still a challenging boarding, but the ability to so accurately predict the seas and establish a schedule greatly contributed to the safety of the job, as well as provided the shipper with a firm idea of when his ship would come into port. 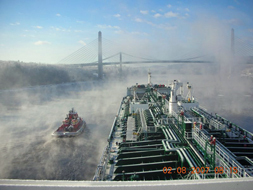 This is just one story that demonstrates your organizations' contribution to safe, efficient port operations in Penobscot Bay. 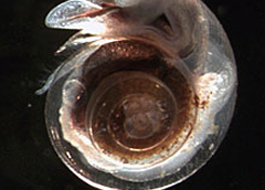 Ocean acidification has the potential to fundamentally change the ocean, its habitats, food webs and marine life. The implications of this sea change to our environment and our economy are endless, and the current rate of change of ocean acidification is faster than any time on record. We need to better understand what is happening so we can develop tools to help slow the rate of change. Efforts like IOOS and NOAA's Ocean Acidification Program will help our nation begin to understand how to address this problem on a global scale and help reverse it. On Thursday, June 13th, Ed Kelly, Vice-Chair of MARACOOS and the Maritime Association for the Ports of NY/NJ, and Lynne Talley, Professor at Scripps, testified before the House Natural Resource's Subcommittee on Fisheries, Wildlife, Ocean and Insular Affairs to support reauthorization of the ICOOS Act. Ed spoke to the importance of safe and efficient marine commerce in our nation's ports, which provides over $700 million in commerce. He noted that the shallow coastal environment is a vibrant, dynamic environment that changes due to freshwater inputs, tides and bottom topography, so it is important to be able to monitor this complex and vital environment in real time, and be able to forecast 48 hours into the future. Lynne highlighted the transformation of ocean observation in the last decade by improvements in technology and science. She spoke about the practical applications for ocean observing as well as the importance of sustained monitoring for research. You can watch the hearing by clicking here and read their testimony by clicking here. 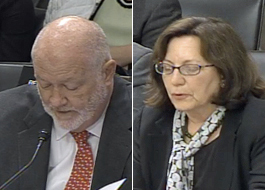 On June 11th, Ed Page, Chair of AOOS and the Marine Exchange of Alaska, and Jan Newton, Executive Director of NANOOS, testified before the Senate Subcommittee of Ocean, Atmosphere, Fisheries and Coast Guard about the importance of IOOS. 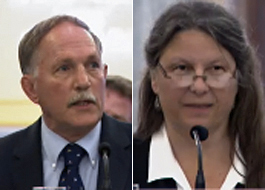 The hearing also included the Director James Cameron and Susan Avery, Director of WHOI. We are proud to announce that we have changed our name from the National Federation of Regional Associations of Coastal and Ocean Observing to IOOS Association. This more inclusive name reflects the connectivity between the regions and the federal components. The name change should be perceived as an acknowledgement of the strength and diversity of the organization, capturing the importance of what our membership does with respect to the entire IOOS enterprise. 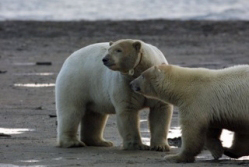 We can learn a lot from animals, and AOOS is looking at adding animal telemetry observations into the AOOS data system. 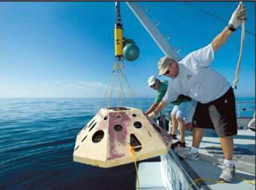 Focusing first on marine mammals, telemetry was initially used for studies of individual species. The data gathered, however, also samples the marine environment - so making this data more accessible can lead to greater ecosystem understanding. Because an animal's location can be related to oceanographic parameters (such as currents and up-welling zones or patches of ice), marine mammals can be another type of mobile "sensor". As has been demonstrated in other marine systems, we expect to gain insights into animal migration, distribution and interactions with their environment, and, ultimately greater use of marine mammals as mobile platforms for oceanographic studies. This approach could be especially useful in the ice-dominated Arctic where the vast scale, remoteness and extreme conditions often limit sampling. 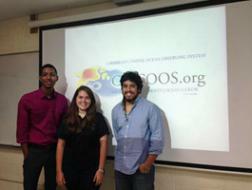 A steering committee is now designing a workshop to be held in spring 2013.